It's interesting indeed. As far as I know only Aerosoft is allowed to sell add-ons for X-plane on STEAM. I will investigate though. NUUK....Very nice. I used to fly over(myself in the real world) there in a king air many years ago. Another such as Sondrestrom would be very nice too and perhaps Iqaluit in Nunavut. This post deals with P3d v2. I really like all the new addons (produced or published by Aerosoft) working fine with P3d v2. But as you probably know older products have some problems with the new P3d versions. Especially the lights at night are not working the way they should do. In most sceneries this is the only thing that causes problems. I see that there are planned new versions for many of those airports (e.g. Frankfurt), but on the other hand many older airports such as "German Airports 2012" will stay incompatible to P3d v2 for years. And this is the point. I like your products, and I know the patches of simmershome. I use them, too. However many of these patches are quite poor and have unwanted side-effects. I do not know how much work it is to include P3d v2 lights in your FSX-sceneries and I only ask for the airports no update is planned for in the near future. I only ask for compatible lighting (I think you know how to do that because your new sceneries are fully compatible to P3d v2) and maybe for a new installer. For example you could develop a product including patches for all Aerosoft-airports. I am pretty sure many people would pay for example 30€ for that. Please, set up a team which patches the old FSX-sceneries to make night-landings a joy again. I would very very much appreciate it! It's very hard to do that for the simply reason it costs a bucketload of money for very little return. Keep in mind we are talking about close to 200 projects. Sometimes it is also very difficult from a technical point of view and it always requires tweaks that are not standard SDK. And since Lockheed is still doing a lot of work on the FX engine it could all be for nothing with P3d V2.6. So all in all we prefer to look forwards and not backwards. I do see (and share) your point though. 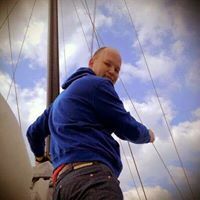 Hi, my name is Henrik and I would like to get the opertunity make promo video's for aerosoft. I have lots of experience with promo's, and I have done several for companies such as FlyTampa, Taxi2Gate and Carenado. Also did an "Unofficial" promo for Aerosoft's Tromsø scenery. 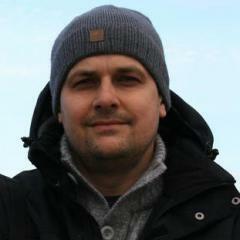 Best to contact William Lennox <William.lennox@aerosoft.de> who coordinates all video work. I tried to contact him about 2 weeks ago but never recieved a reply, would you mind letting him know that I sent him an email? The fact someone doesn't reply to your email does not necessarily mean he did not get it. Sometimes people get a lot af similar emails and you really have to wait and/or sometimes they are not interested. I most certainly will. It is not our habit not to reply, even when staff is on vacation we should have backup. Hi, I would like to know Aerosoft point of view in penetrating Asian market. As of this moment, all add-on airport product related to fsx is mainly focus on western world. There is a lot of modern international airport and medium sized airport in asia region like KLIA, Bangkok, Hong Kong, Manila, Singapore, Japan, Jakarta and some of their tourist island attractions airport that aerosoft could take some initiative to create and make profit. There are a lot Asian players and we also would like to land our Aerosoft A320 airbus and PMDG 777 at this enhanced airport rather than the dull and default airport in fsx. I think its about time that aerosoft give Asia region a bit attention. On the same subject, is there any mileage in exploring New Zealand and Australian hubs. For me these are important long haul destinations for flights from Western USA and the far East, plus good short hauls between the two nations. The choice of airport scenery is limited to non existent at the moment. I guess if there isn't much demand I understand why they are not considered. We'll be continuing to release X-Plane 10 add-ons for sure! I am delighted that Africa is getting at least some attention with Johannesburg coming soon and Kilimanjaro released a few months back. Is Africa being given any further consideration ? There are a few destinations which dovetail quite nicely into Johannesburg for medium/short hops. Maun airport which services the Okavango Delta (in itself a great region for development with many small strips dotted throughout the region), Cape Town, Addis Ababa, Nairobi and Lagos. These could all do with some Aerosoft love. We are looking for new developers from Africa doing African airports or African scenery. If developers know the airport or area they create really well we all can expect good products witha very realistic feeling. But at present we haven't found such people so I can't tell you if there will be more African products soon, but this may chage pretty fast if we find the right developers. Yes ww will continue to release X-Plane add-ons. We expect the DC6 soon and 4 - 5 airports are in development. We will continue to promote X-Plane because we believe it's at present the only flight simulator with a continuous development and a very open structure. Any chance that Aerosoft will develop aircraft add-ons? I hope some day Aerosoft will develop their Airbusses for Xplane. Much add-ons for X-plane have glitches and are not comparable to Aerosofts add-ons for FSX/P3d.